In 1866, William S. Caldwell of New York acquired an Italianate summer cottage originally built as the summer home of Boston merchant Caleb Chace. 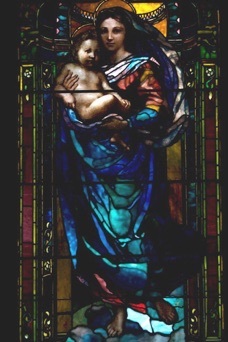 In 1890, Mr. Caldwell’s daughters commissioned a private Chapel with windows by John La Farge as part of the alterations under-taken by the Newport architect J.D. Johnston. 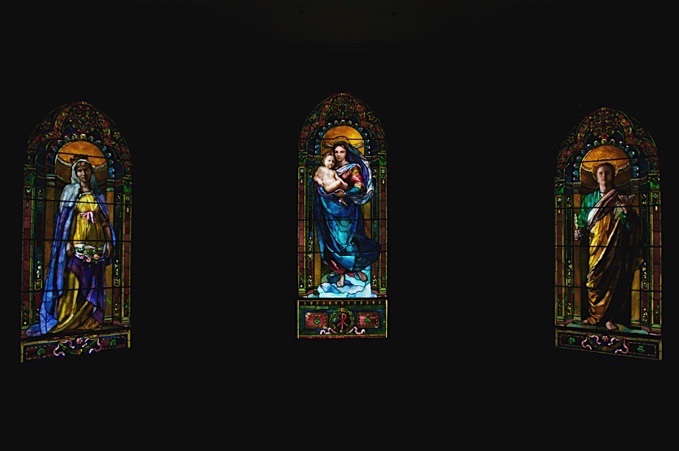 Demolished for residential sub-division in 1931, the stained glass windows were purchased by the Diocese of Fall River and incorporated into St. Patrick’s Convent. Sadly, in 2004 the Convent suffered the same fate as the Caldwell House. 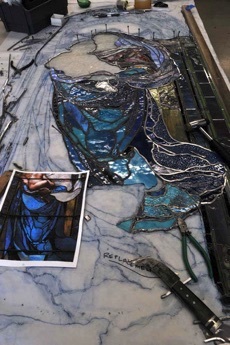 The thirteen opalescent glass windows are now being restored by our studio and will be installed in a new Chapel and Spiritual Life Center on the Newport campus of Salve Regina University. During our initial visit to inspect the windows, we alerted the client as to the importance of these windows and recommended retaining as much as the original lead as possible. Luckily, the clients have an appreciation for preservation and followed our advice. None of the windows have been completely releaded. 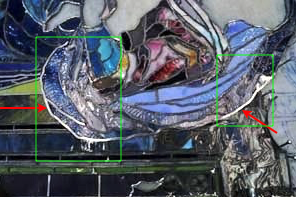 In fact, in most of the windows, we were able to retain 90% of the original lead. 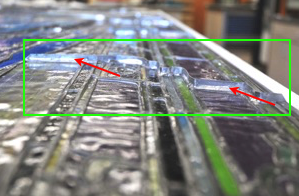 Deflected areas were flattened, cracked glass repaired with Hxtal epoxy and silicone, new lead introduced only where necessary. The windows were then waterproofed, new copper tie wires soldered and the windows installed in their original wood frames. 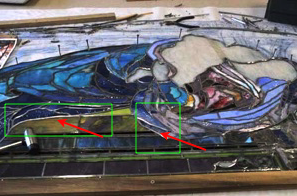 Below are some images of the Sistine Madonna window being partially and selectively releaded and restored. Click here to read about the conservation of St. John’s face. 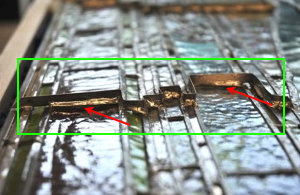 Structural fins were attached to the exterior of the window to add structure and support to the areas that exhibited deflection. ✤ Watch a YouTube video about this project.